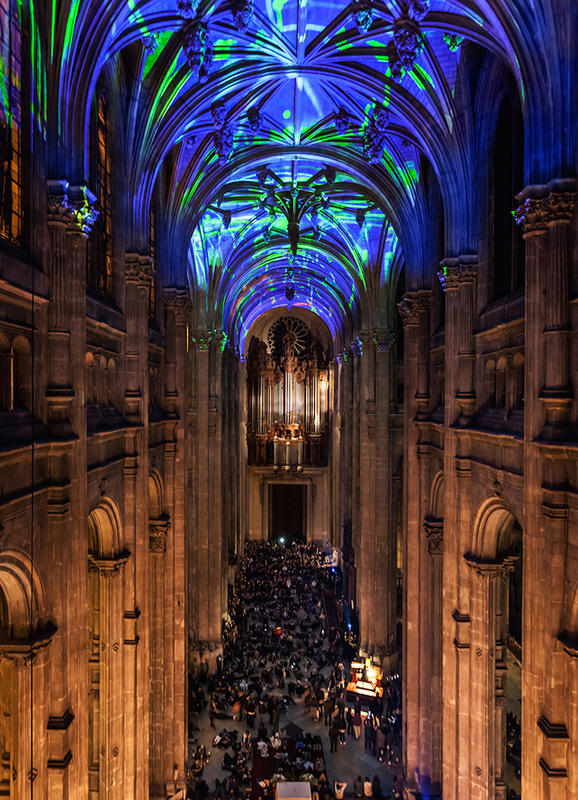 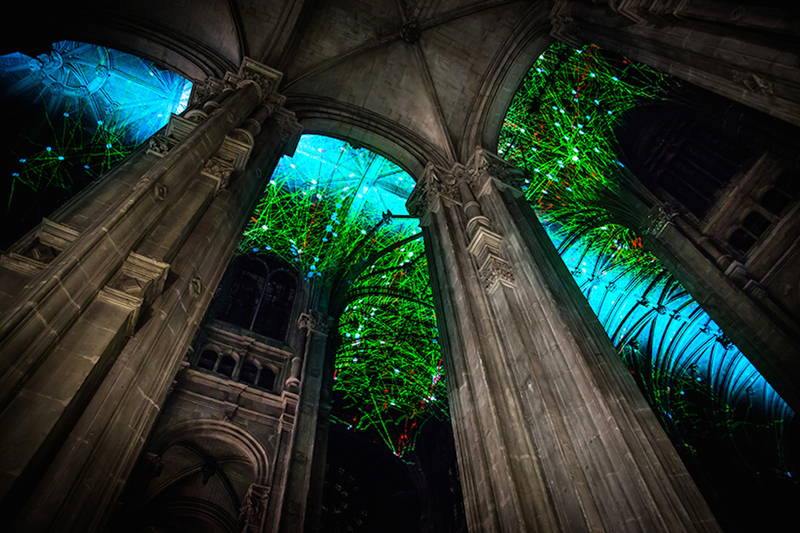 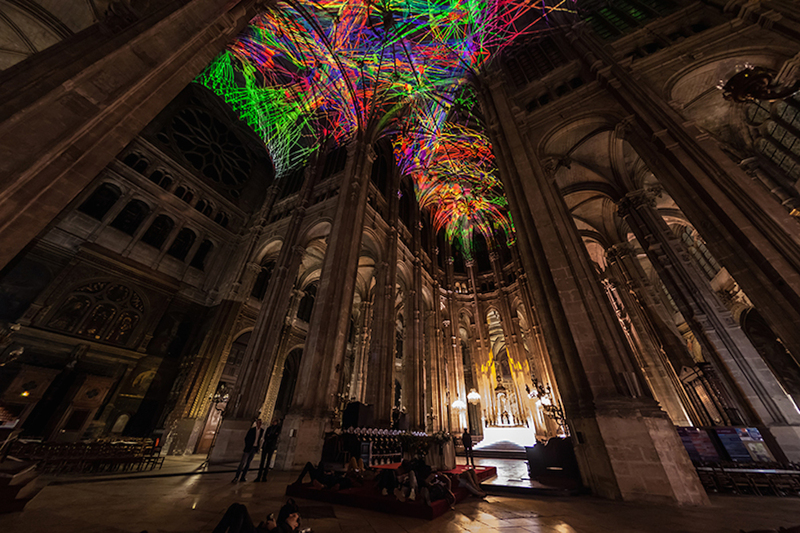 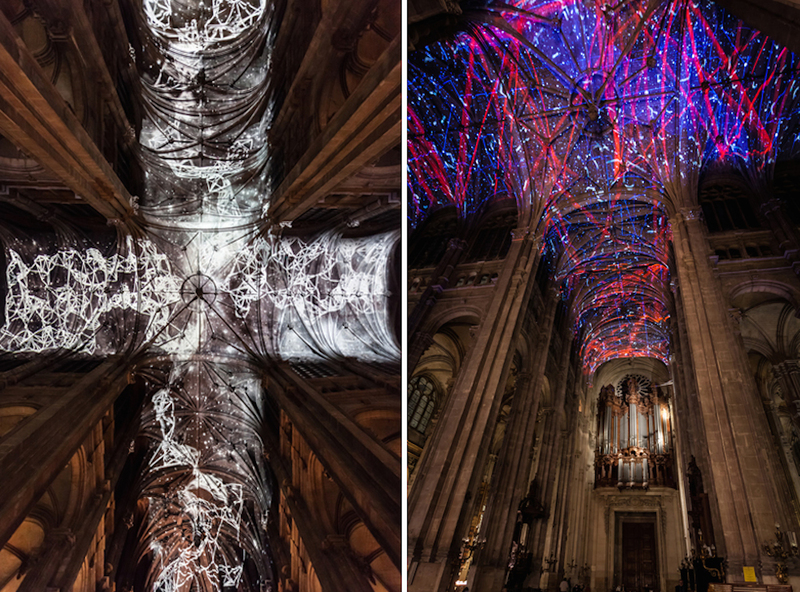 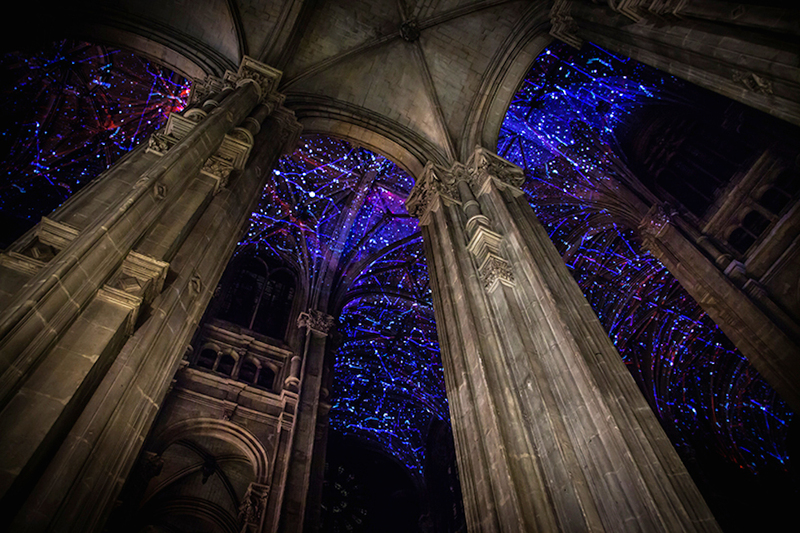 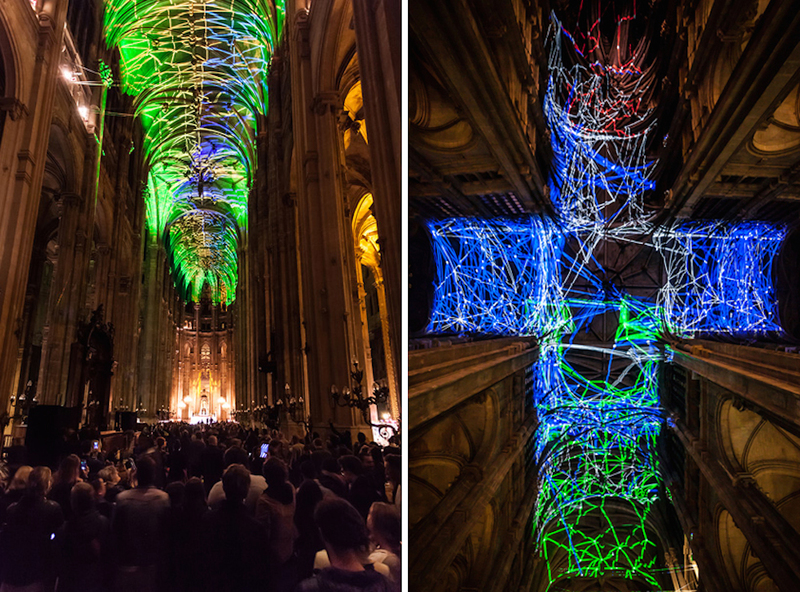 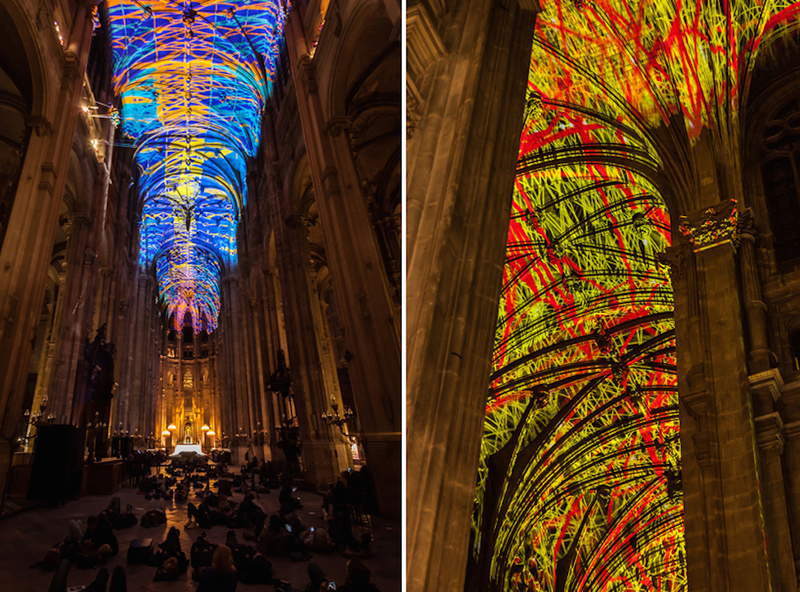 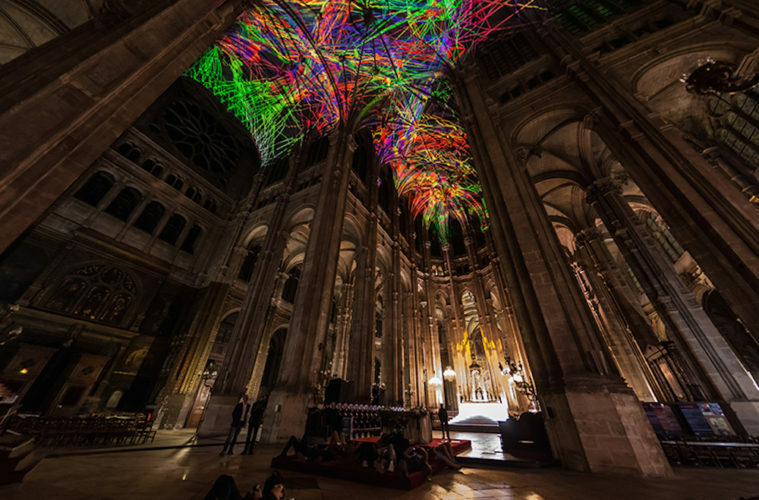 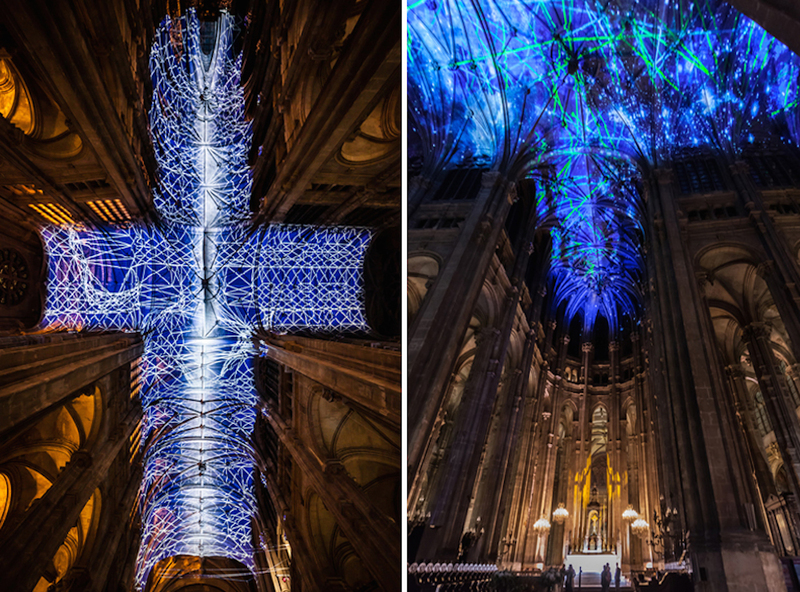 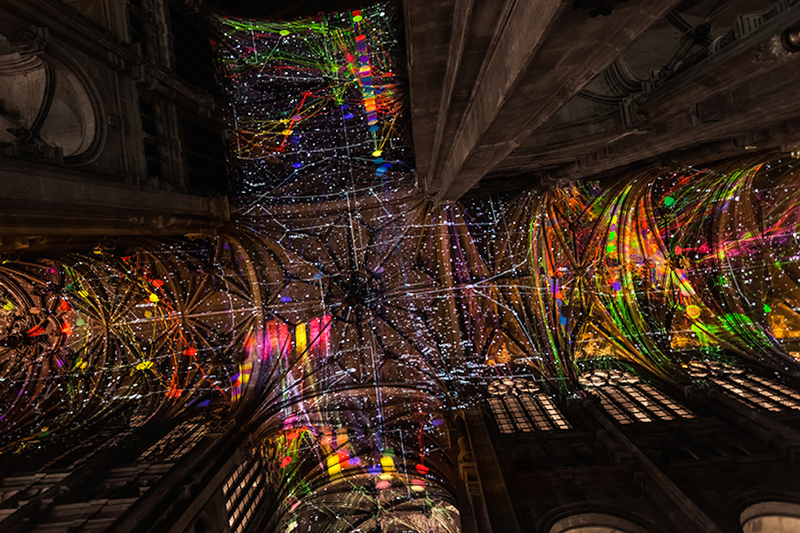 The latest work by interactive light installation pioneer, Miguel Chevalier entitled ‘Voûtes Célestes’ or Heavenly Vaults is seen inside the 16th century Saint Eustache Church in Paris. 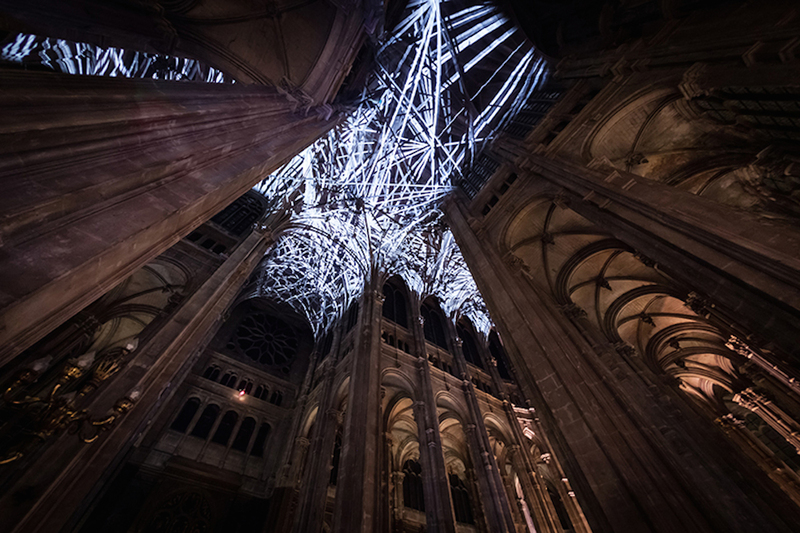 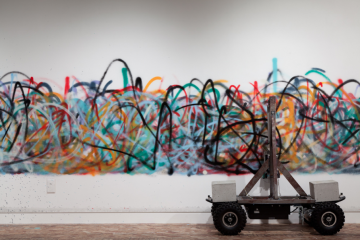 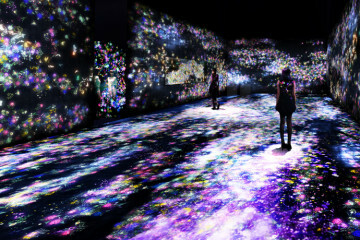 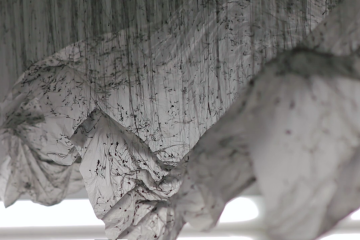 The virtual-reality installation interacts with the dramatic Gothic architecture of the site. 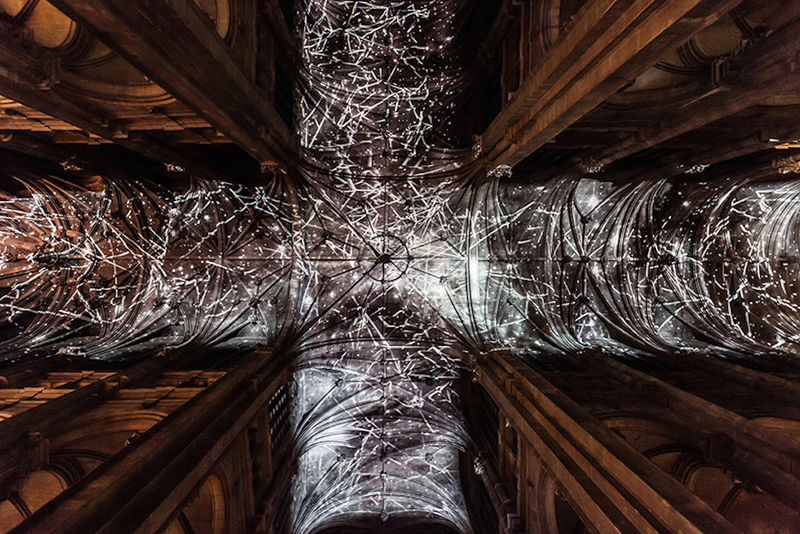 Chevalier’s artistic projections found on the church’s chancel vaults, central nave, and cross-shaped transepts; making the volumes of the columns and ribbed vaults engage in a dynamic choreography before visitors’ eyes. 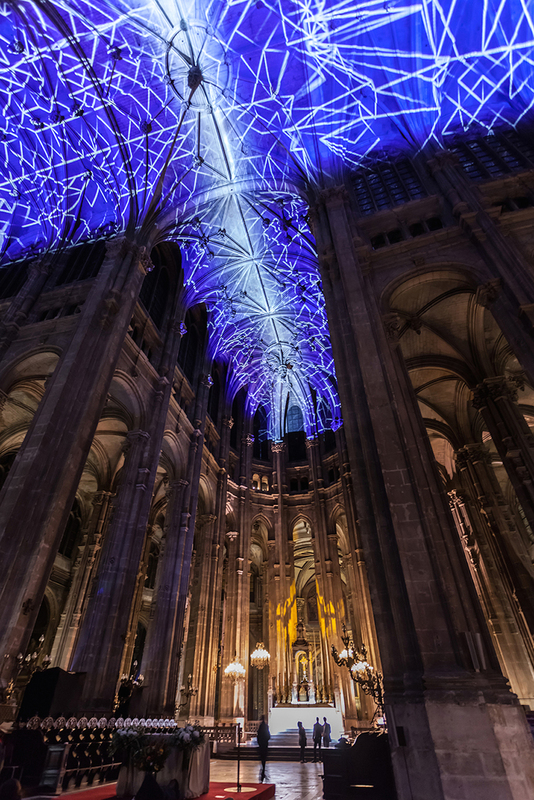 This latest artwork is accompanied by music from Saint Eustache’s organist Baptiste-Florian Marle-Ouvrard and the church’s choir.